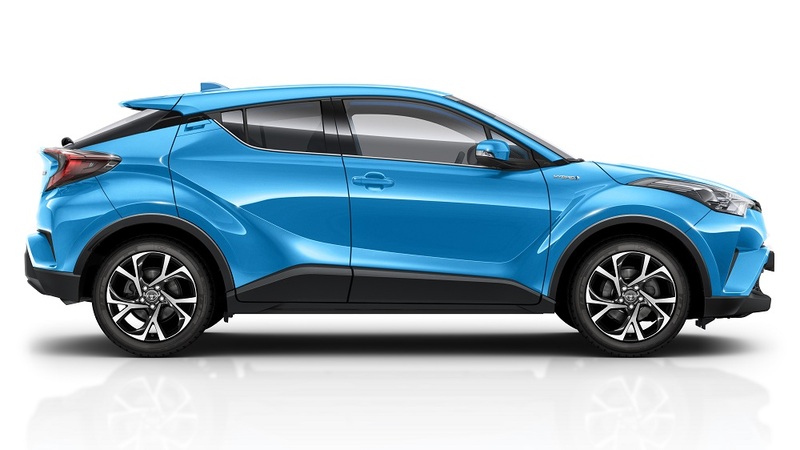 Cool looks aside, C-HR continues to win favour thanks to its smooth and highly efficient hybrid electric powertrain option – currently the pick of 77 per cent of customers – and its rewarding driving characteristics, derived directly from its TNGA (Toyota New Global Architecture Platform). The new C-HR Design comes with an equipment specification that majors on style and on-board comfort and convenience. On the outside, it sports 18-inch alloy wheels, rear privacy glass and auto-folding heated door mirrors with integrated turn indicators. Welcoming entry illumination and ambient cabin lighting are also part of the package, together with smart entry and push-button start. The front seats both have integrated heaters and power-adjustable lumbar support. The Toyota Touch 2 with Go multimedia system comes with an intuitive central touchscreen control, navigation functions and access to online services. Front and rear sensors, plus Intelligent Park Assist make for hassle-free manoeuvring into and out of parking spaces. These features are all in addition to the established Icon trim, which includes a reversing camera, dual-zone automatic air conditioning, an electronic parking brake and the Toyota Safety Sense suite of active safety and driver assistance functions. For 2018, C-HR Excel models gain full black leather upholstery and rear LED lights. For the Dynamic grade there are new matt black 18-inch alloys, black fabric upholstery and a cool silver trim line on the dashboard. For customers who want to make a stand-out statement with their C-HR, the model can now be specified in vibrant Cyan Blue paintwork; a host of customisation options allows for an even more personalised look, including contrast colours for the side sills, front bumper inserts, lower boot trim, fog light surrounds and door mirror covers. Design and Dynamic models can be specified with optional leather upholstery and a premium JBL sound system – individually or in a combined pack. The more powerful audio system can also be obtained for the C-HR Excel. The Icon model can be upgraded with a Tech Pack option that includes smart entry, a Blind Spot Monitor, Rear Cross Traffic Alert, Lane Departure Alert with steering assist and auto-folding mirrors (for the 1.2T Icon the pack also provides smart entry and push-button start). The Toyota C-HR is available with a 1.8-litre hybrid electric powertrain, or with a 1.2-litre turbocharged petrol engine. The 1.2T is offered with six-speed manual transmission and front-wheel drive, or continuously variable auto transmission with all-wheel drive; the hybrid version is front-wheel drive only. Combined cycle fuel consumption* for the hybrid is 74.3mpg with 86g/km CO2 emissions*; for the 1.2T the figures from 42.1mpg and 135g/km respectively. The new 2018 Toyota C-HR is available to order now, with customer deliveries from 1 July. On-the-road prices start at £21,880. * WLTP correlated NEDC fuel and emissions data.